The first *NEW* Close To My Heart product that I was exposed to from the 2018 Holiday Expressions Catalog was Stacy Julian’s latest Story by Stacy product–Short Story. I had the honor/privilege of being a helper for Stacy at this year’s Close To My Heart Convention over the summer when this product was debuted to Consultants. And let me start by saying…I absolutely LOVE these kits and the concept behind them! First, look at the fun contents of each kit. The bright cheery colors and patterns pair so nicely with the neutral black and white patterns and accessories. 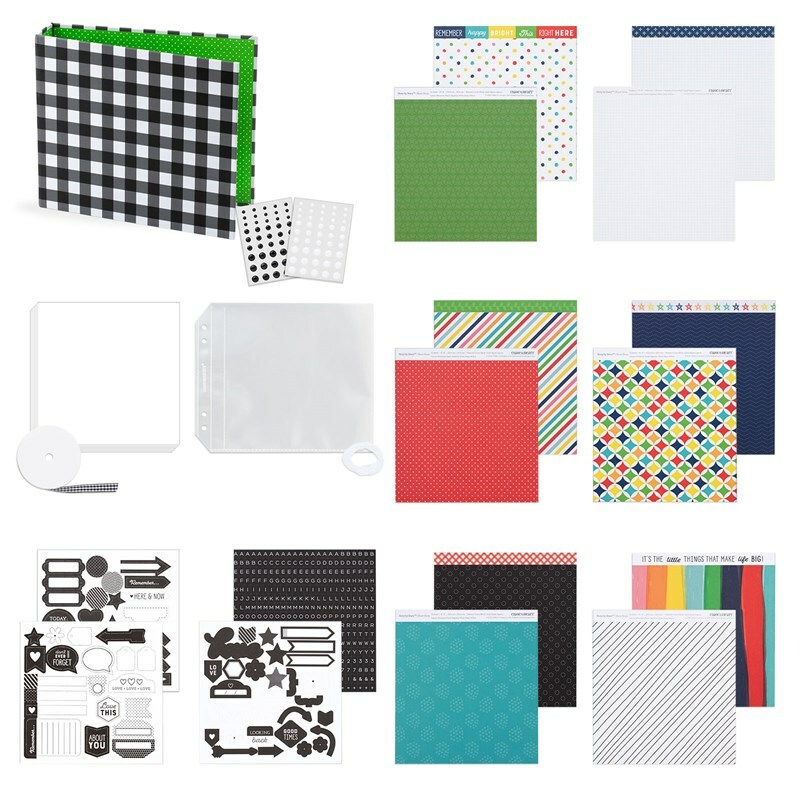 But truthfully, the best part of these kits is that they will teach you how to take a visual approach to storytelling in a colorful 6″ x 6″ album. It’s a manageable size. It’s something you will complete in a few hours–a complete album! Really! Plus, these kits really are an amazing approach to telling a story with lots of photos. We all have LOTS of photos, right? 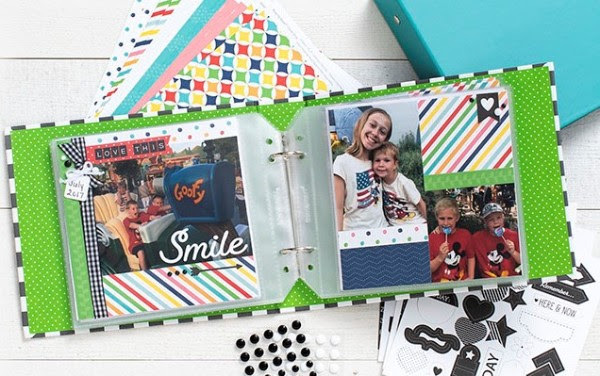 Normally, you use a handful of photos on a scrapbook layout that depending on how embellished and detailed could also take you a few hours. Now imagine having a WHOLE album complete in that same time! Amazing right? Check out Stacy’s Short Story video she shared of one of her completed albums HERE. It’s so colorful and cheerful, right? 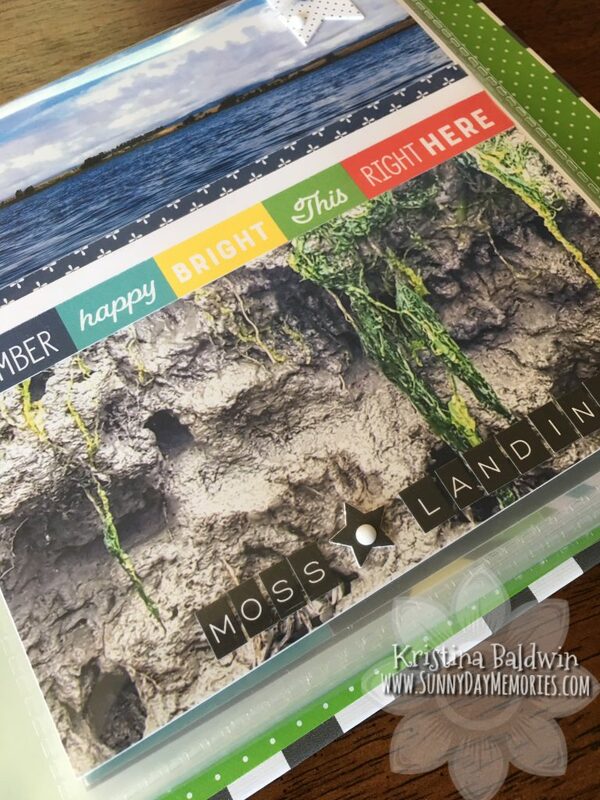 While the story Stacy is sharing is about visiting the Color Factory in San Francisco–which makes sense to have lots of bright colored papers to accent her photos–that doesn’t have to be the case! My story is about a kayaking trip and it still works. The color palette is perfect for whatever YOUR story is. I was in awe after going through the process that I could complete an album where I used nearly 50 photos (yep, crazy, right?!) And in total, I probably spent between 4-5 hours on it. This included training time with Stacy about the process in order to assist Consultants at Convention. 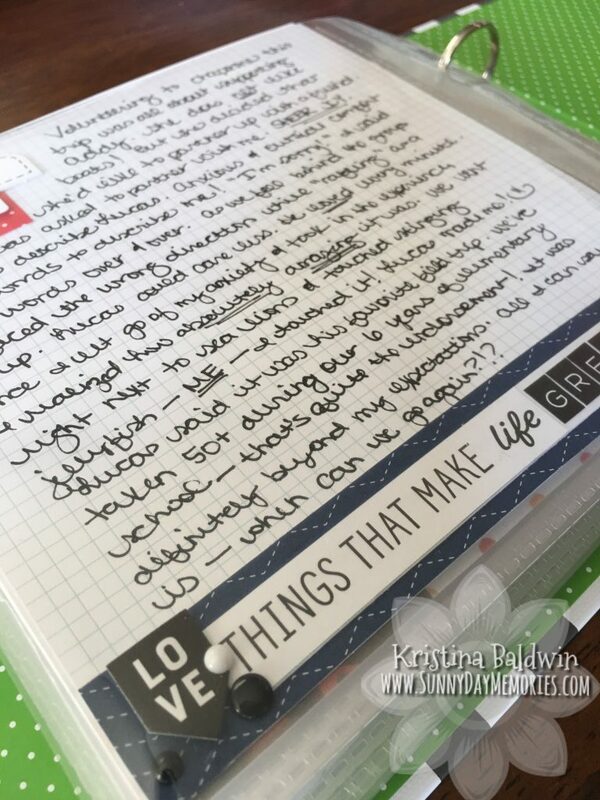 The workbook in these kits leads you through the process of creating an album where ultimately you will write your short story. It’s something that those enjoying your story may not have known simply from seeing your photos, but something that makes it important to you–your story! One last detail that I wanted to point out is about the page protectors used in these kits. You’ll notice they have a double set of holes. This was intentional. 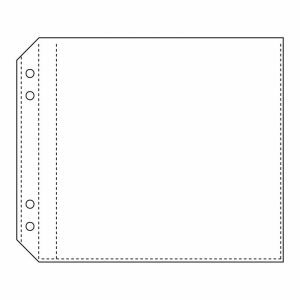 This allows you to add these pages to traditional My Legacy 12″ x 12″ albums if you choose to do so. Clever, right? Plus, you can order additional packs of 10 if you need more for your Short Stories. I can’t recommend the Short Story Kits enough! I know once you try one, you too, will be hooked. To purchase your own Short Story Kit, visit my ONLINE CTMH STORE. 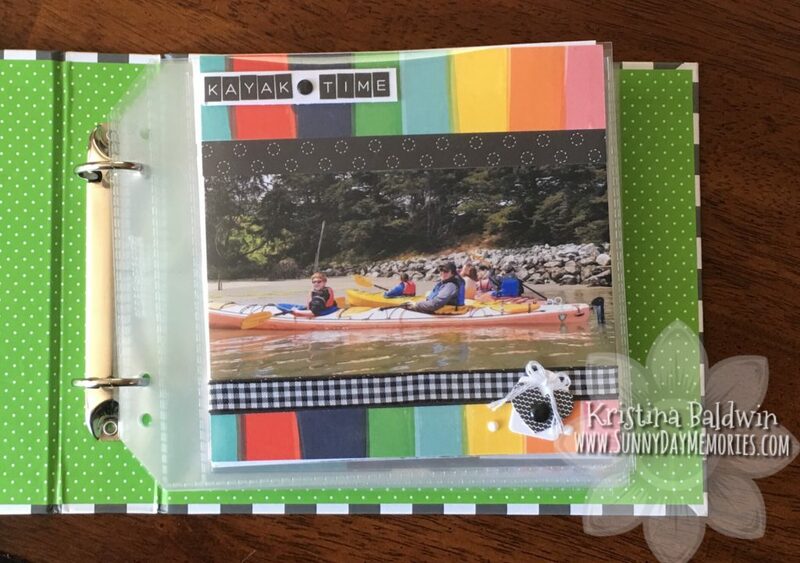 This entry was posted in Announcements, CTMH Story by Stacy and tagged Close To My Heart, CTMH Story by Stacy, DIY Projects, Scrapbook Kit. Bookmark the permalink.